This cute bump and go locomotive features flashing lights and soothing music. This fun train is great for toddlers and children who love all things locomotive. 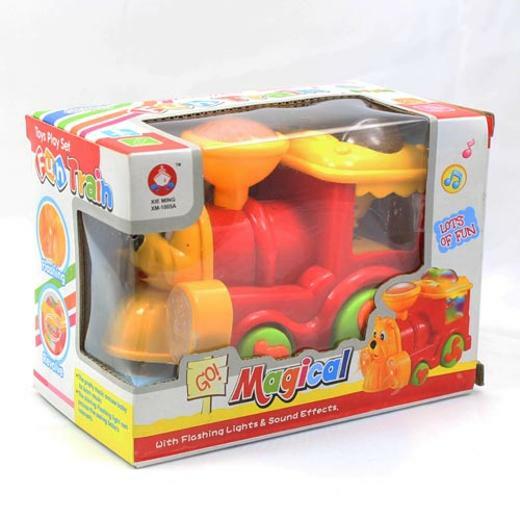 Your child's imagination will come to life with this great toy. At a price this low your wallet will thank you too. Requires 3 "AA" batteries (not included).